I recently binge-watched CNN’s three documentaries on Netflix, which focus on the three final decades of the 20th century. Watching “The 70s,” “The 80s” and “The 90s,” I was left thinking about how CNN would characterize the current decade. No doubt, our love-hate relationship with social media would be a principal highlight this decade. As an early adopter of social media and an active user, I find the love-hate relationship that people have with social networks intriguing. The people who condemn social media as an evil that has plagued our way of life are the same people who scroll through their Facebook feed before they fall asleep at night and while eating breakfast in the morning. There are aspects of Facebook, Twitter, Instagram, et. al. that we despise, and there are aspects that we have embraced and don’t know how we managed without. This social media conundrum is fascinating to me and I have been curious as to how we can view it through a Jewish lens. Jewish people are less than 0.2% of the world population and yet most of those who have led us into the social media universe are members of the Jewish faith. Sergei Brin and Larry Page founded Google, which opened the door to Mark Zuckerberg creating Facebook and Noah Glass joining his friends to launch Twitter. Certainly, their intention wasn’t to do harm in creating new forms of communication, search and sharing. 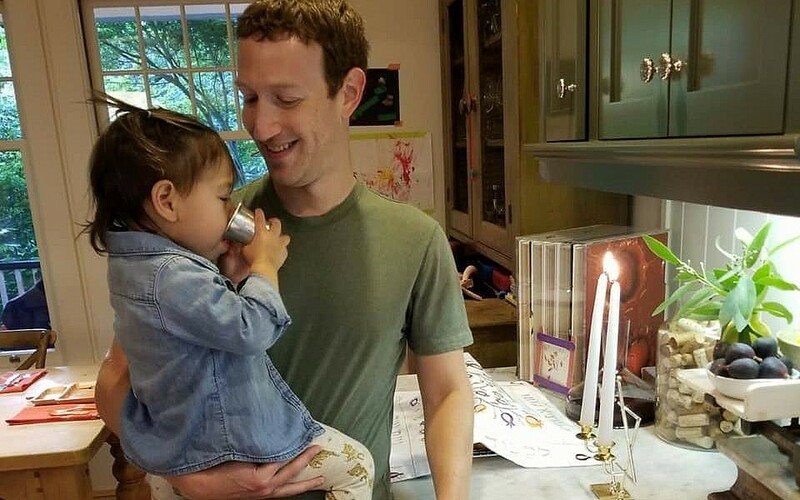 Zuckerberg was an avowed atheist who has begun to embrace his Judaism more since becoming a father to two daughters. His public posts about celebrating Shabbat and Jewish holidays with his family have led some to question whether core Jewish ethics are at odds with the way Facebook is run as a company and how this social network has created harmful outcomes in our culture. In its almost fifteen years in existence, Facebook has been blamed for an increase in teenage depression and suicide rates, altering a presidential election, giving racists and anti-Semites a platform to spew their hate, disseminating false news reports and suppressing actual news, ruining millions of friendships, and Russian intervention of our political process. There’s no doubt that Zuckerberg, along with Facebook Chief Operating Officer Sheryl Sandberg, has been in the hot seat for the past few years. Both have demonstrated they are strong proponents of free speech and they also believe in core Jewish ethics. Have those two mantras come into conflict at Facebook? How can the Jewish community see the light amidst the darkness in social media? While Facebook, under the leadership of Zuckerberg and Sandberg, has pledged to correct the harmful aspects of the network, they have largely failed. But should they be held responsible? If there’s one thing that Judaism has taught us over the millennia, it is that there are shades of grey in everything. The social network that Zuckerberg created has a lot of positive aspects to offer us as a civilization. It has helped us communicate with people around the world and find ways to bring us closer together. Facebook allows us to keep in touch with long lost friends, wish each other birthday and anniversary greetings as well as condolences on the death of a loved one, view photos and videos of our family at life’s celebrations, and engage in respectful dialogue over the issues that matter most to us. Sadly, Facebook and other social networks have also aided those who perpetrate evil. Social media has a dark side as we know all too well. It has amplified the voices of those who hate and threaten our democracy. It has given a much louder voice to bullies, who damage our wellbeing and sanity. However, social media hasn’t created anything new. It has just brought more of that darkness into the mainstream. We must recognize that social media, whether in the form of Facebook and Twitter or something else down the road that will replace those networks, is now part of our world. It is up to us to use these tools for good and to shut out the evil that tries to enter through our internet connections. Ultimately, we must remind ourselves that social media engagement will never replace real-life human interaction. I don’t believe quitting social media activity cold turkey is the solution to what plagues our society. I think we must seek out the positive outcomes that exist in our experiences on social networks like Facebook while working to collectively shut out the darkness that has been so pervasive. While Zuckerberg might have created this game-changing network, he shouldn’t be fully blamed for where it has taken our society. We must show responsibility and direct social media toward the light – overwhelming the evil with good. That is the Jewish ethic.